California wage and hour claims are a complex area of the law. Needless to say, with the hundreds of thousands of workers in the Golden State, there are many different classifications and requirements for how a laborer is paid and what rest periods are required depending upon the job. For these reasons, consulting with an attorney familiar with CA wage and hour issues is essential if any employee feels they have been cheated out of income including overtime pay or have been required to work in excess of the hourly limitations without meal or rest breaks. The Golden State’s laws on wage payments reflect a strong public policy of full and prompt payment of earnings to workers as being “essential to the public welfare.” Kerr’s Catering Service v. Dept. of Industrial Relations (1962) 57 Cal.2d 319, 326. Legal Definition of “Wages”: Under Cal. law, “wages” or “earnings” are defined as, “the amount the employer has offered or promised to pay, or has paid pursuant to such offer or promise, as compensation for that employee’s labor.” Included within this definition is not only monetary payments but, also all other compensation and allowances including vacation pay; bonuses; severance pay; and employee benefits such as employer contributions to profit sharing plans, employer payments to health, life or disability insurance plans and unemployment compensation. Obligation to Pay: California law not only requires prompt payment of wages earned but, also requires compliant record keeping procedures regarding such payments. Failure to pay “wages” and/or the failure to properly account for such “wages” can be actionable by filing a civil suit in court or through the CA Labor Commission. In addition, under CA Labor Code 206.5(a), “No employer shall require the execution of a release of any claim or right to an accounting of wages due...” Moreover, if there is a dispute as to the amount of wages owed, the employer must pay “without condition” all money or parts thereof that is conceded to be owed. CA Lab. Code 206(a). Payment During Employment: Timely payment while employed depends upon many factors including whether the employee is salaried, hourly or commissioned and whether the wages are earnings, benefits or vacation pay. In general, a California employer must post and maintain regular, consistent pay days. Hourly employees paid weekly, bi-weekly or semi-monthly must be paid within 7 calendar days after the close of each payroll period and bi-monthly must be paid between the 16th and 26th for work performed between the 1st and 15th and between wages earned between the 16th and end of the month must be paid between the 1st and 10th of the following month. Overtime pay must be paid for the payroll period immediately after the work was performed. Exempt salaried professionals and executives may be paid monthly but, not later than the 26th of each month. Temporary service employees must be paid at the end of each week. Payment Upon Termination of Employment: Under California Labor Code sections 201-208, payment of all wages are due immediately upon termination of employment and must be tendered at the place of discharge. Vacation pay is treated the same as all other forms of compensation at the time the employee is terminated (i.e. it is due immediately). Payment Upon Resignation: When the employee resigns, payment is due within 72 hours of the resignation. 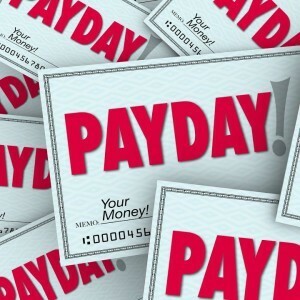 Deductions From Paycheck: In general, the only proper deductions that can be made from a paycheck are those authorized by state or federal law, those expressly authorized by the employee, and deductions to cover health plan or pension contributions authorized by a wage or collective bargaining agreement. An employer may not “offset” debts owed by the employee as a deduction from pay. In general, once wages have been paid, they cannot be taken back except by valid agreement. An employer cannot deduct for workers compensation costs or business losses caused by employee negligence. Minimum Wage: All CA employers must comply with the federal and state minimum wage laws unless there is a specified exemption, such as student learners or apprentices. California does not allow a “tip credit”, therefore, waiters and waitresses must be paid minimum wage in addition to their tips. Overtime Compensation: Whether or not an employee is entitled to overtime depends upon the classification of the employee under the various “Wage Orders” in force. In general, all non-exempt employees must be paid a rate of one and a half times their regular rate of pay for all hours worked over 40 hours in a week or 8 hours in a work day. They must be paid double their normal hourly rate for all hours worked in excess of 12 in a day. In order to be found “exempt” from overtime pay, an employee must be properly classified in an exempt-able category such as “executive, administrative or professional (“white collar”), outside sales, state and local government employees, members of the employer’s families, employees licensed under the Fish & Game Code, live-in employees in substance abuse alternative housing, student nurses and carnival ride operators. Any alleges “agreement” to waive overtime pay is not enforceable under California law. California law (again subject to certain exemptions) provides that every employee is entitled to one day’s rest in a seven day work week. Cal. Lab. Code 551-552. Furthermore, where an employee has worked 72 hours in a 7 day period, they cannot be terminated for refusing to work more hours in that workweek. In addition, hourly employees are entitled to ten minutes of paid rest for each four hours worked and a 30 minute meal break for each work period of five hours or more and a second 30 minute meal break for a work period of 10 hours or more. California Code of Regulations 11010. In general, employers may not discriminate in the rate of pay based upon a person’s protected class such as gender, age (over 40), disability or medical condition. Both state and federal “Equal Pay Acts” (“EPA”), provide that no employer may compensate a male employee higher than a female employee for the same job duties that require the “equal skill, effort and responsibility” and under similar working conditions. To protect the health and well-being of minors, both state and federal law prohibit employment of minors in certain situations and allow such employment only under certain limitations. California defines a “minor” for this purpose as either a child under 6 years of age or a child under the age of 18 who must attend school (or who need not attend school simply because he or she is a non-resident). Minors are prohibited from working in hazardous occupations such as mining, logging, meat packing, roofing and excavation. Minors under 16 cannot work in building or construction, manufacturing, operating machinery, working on a railroad or rail yard or working with toxic substances such as acid, dyes and gas. Fourteen and 15 year old teenagers may no work during school hours and the number of hours a minor may work depends upon school hours. In general, there are various ways to enforce wage and hour laws and to require payment of wages, penalties and other compensation depending upon many factors including the law violated, the amount in controversy, the age of the worker, and the effect of exemptions and agreements including collective bargaining. This includes filing a complaint with certain government agencies such as the California Labor Commissioner. Many violations, however, not only allow for a so-called “private right of recovery” (right to have your own attorney bring a civil action to enforce the law) but, provide that the plaintiff (worker bringing the action for unpaid wages or rest period violations) has a right to recovery of attorney’s fees and costs related to the action. This provides an incentive for lawyers to take many of these cases on a “contingency fee” basis (meaning not charging attorney’s fees or costs up front but, being compensated at the end of the case). This coupled with the STRICT time deadlines associated with these claims makes it crucial to consult with competent legal counsel as soon as possible! For a free consultation on any wage and hour violation in California call toll free: 866-966-5240.